We are currently accepting applications to 6th Year for the 2019/2020 academic year. Our students possess an impressive record of achievements and we are extremely proud of them all. Their successes show that with commitment, motivation and hard work we can all achieve great things. The Leaving Certificate syllabus is covered in full in the 6th year, with specific paces for various subjects. With 25 subjects to choose from, 6th year students can create their own timetable. Our experienced teachers have been working with first time and repeat Leaving Certificate candidates for years and understand their specific needs. Teachers discuss grade targets with students and monitor performance with regular testing and continuous assessment and as well as responding to student needs. 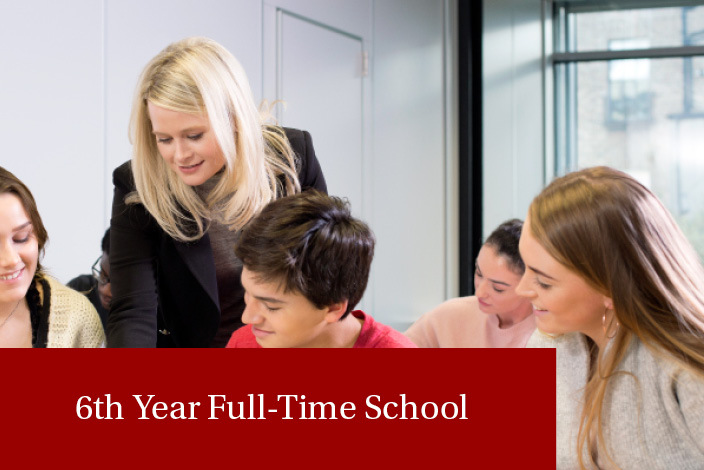 Our dedicated career guidance department works closely with our full-time 6th year students, providing them with detailed advice and support on CAO and UCAS applications. Students are also provided with constant academic mentoring, study skills seminars, and access to a student welfare officer when required. 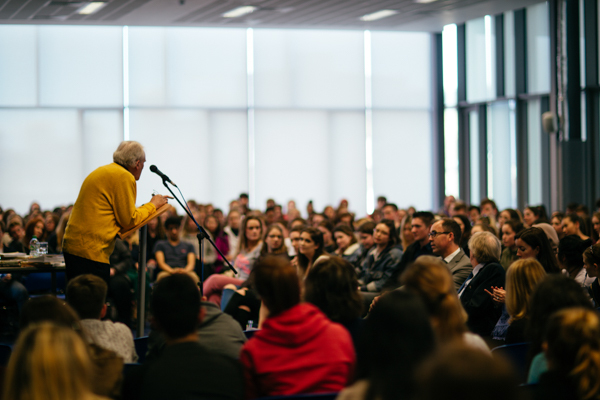 In April 2016 renowned Irish poet Paul Durcan visited The Institute of Education and gave a two hour lecture to our 6th year students.